Americans have one thing in common. That is the respect and love for the veterans, acknowledgment of their work and valuation of their sacrifice. And the recent happenings seem to have proved it again. Online fundraising started by an Airforce veteran served in Arizona has gathered $9.7 million in a few days. The goal of the fundraising is to build Trump’s idea of U.S. – Mexico border wall. Yes, that same wall which brought the Republicans to power. Brian Kolfage recently started ‘GoFundMe’ page. Interestingly, his venture to support the border wall has received tremendous support and has been able to gather funds much beyond his expectations. 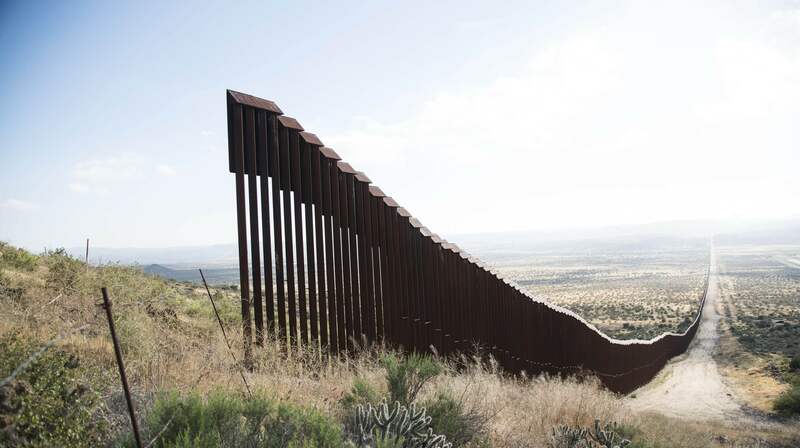 In a statement, Brian Kolfage said that the border wall could easily be built, if each one of the voters who voted for Trump pledged to donate $80 individually. He is triple amputee injured in the Iraq War in 2004 and claimed that as a veteran he had sacrificed three limbs for the nation. Now, he wants all of the Americans to donate something for the future generations. He confirmed to have contacted the Trump administration regarding where to send the money once the fundraising is done. The recent episode between President Trump and the Congress over the signing of the amount for the operation of the Government unless the Congress agreed on the Border Wall funding, says much about Trump’s electoral promise. But, Trump’s border wall idea has never been sold well to the Congress, so there is a looming chance of shutdown in the latter part of this week. It should be informed to you that similar fundraising was held in 2011 in Arizona by the lawmakers for building a border wall. With a target of $50million, the event managed to gather $265,000. Kolfage became famous in 2005 after he objected to the flag with rainbow colors flying at home in Tucson’s Davis-Monthan Airbase. Kolfage, a graduate from the University of Arizona, alleged that the flag was a poor imitation of the national flag, hence a disrespect. And, that shouldn’t have been there. However, it’s satisfactory to know that the respect and faith in the veterans in our nation are still in place. Whether the wall is going to be built or not is a question for the future, but at the hands of a veteran, our society seems safe and comforting.